Some pitches work best when made across a desk. In certain industries, it remains important for clients to feel confident that the person they are working with is a professional. For lawyers, accountants, and other independent white-collar professionals, a high quality office can be the difference between a dead-end consultation and a long-time paying client. The 9s is a rectangular space with two thin windows facing Marshall. 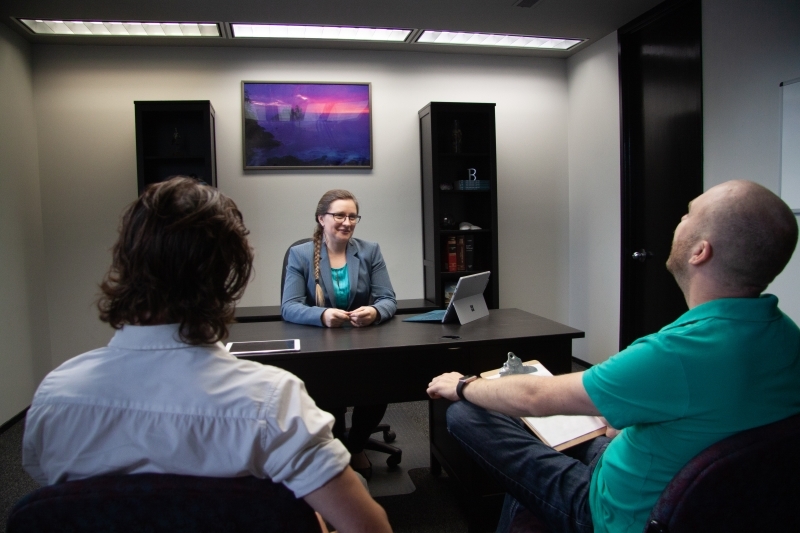 It is strategically located right next to the degree walls, where members can feature their framed degrees and certification, so your clients can see that you have surrounded yourself with credentialed coworkers. Present a professional image in The 9s Private Office at the PatchWork Collective. Just because your profession calls for a certain level of formality when meeting clients, doesn’t mean you need to spend your days bent over a desk. Or worse, you may be paying for a desk you never use. The modern professional knows the value of reduced overhead. But that doesn’t mean you have to look cheap. 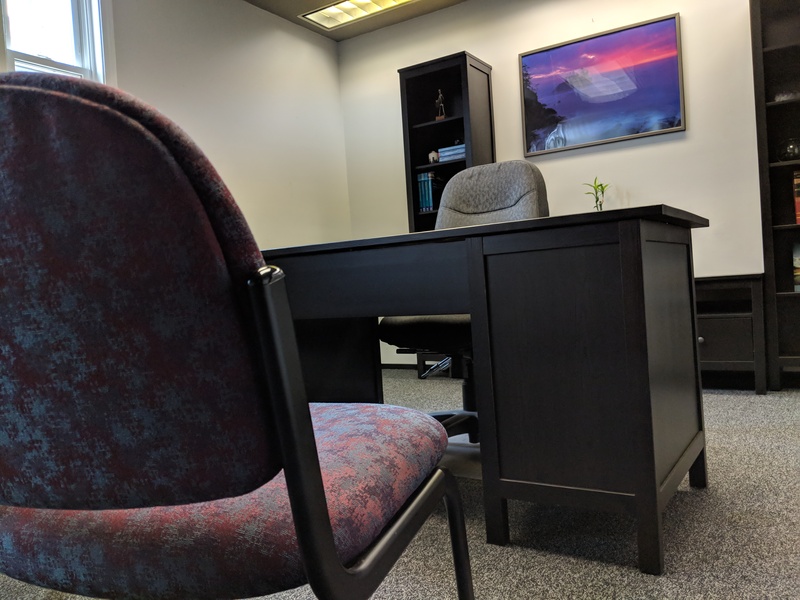 The 9s provides you with a professionally appointed formal office space, complete with desk, client chairs, bookshelves, and a white board. The room is large enough that you could host a small group meeting, or invite a family to sit in together on your meeting, without sacrificing that professional appearance or feeling claustrophobic. It is available for rent by the hour, so you only pay for it when you need it. 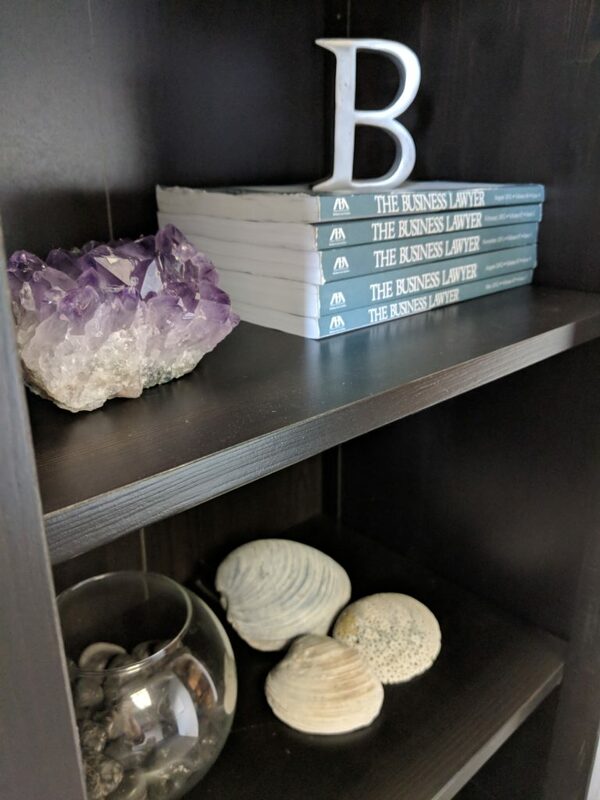 If your meeting will need additional amenities, different arrangement (please note, bookshelves are permanently fixed to the wall), or any additional specialized options, contact us to see how we can customize the space to meet your needs.